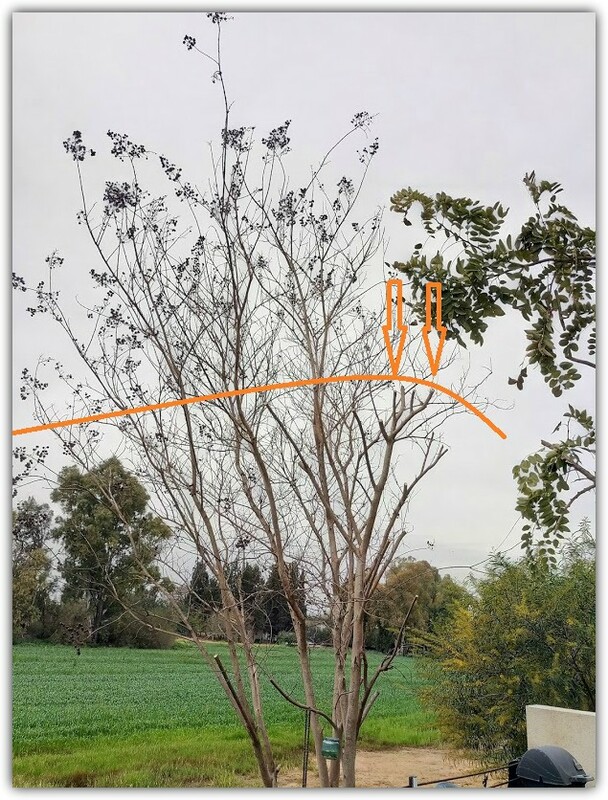 How much can you prune a crape myrtle? 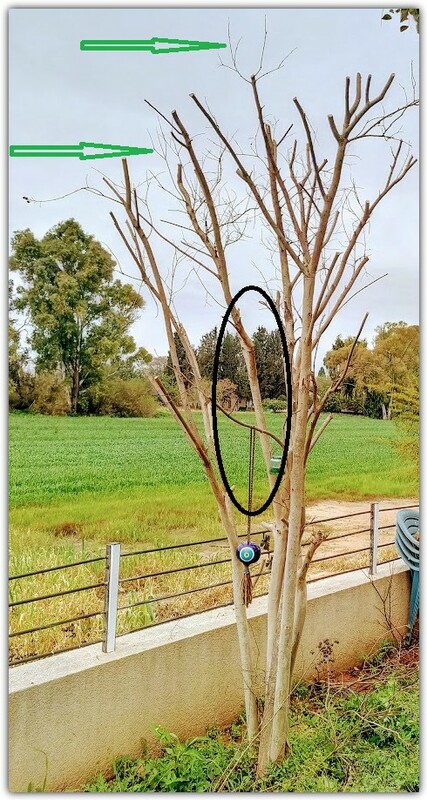 Pruning crape myrtles - Although this site is about hand pruning home plants and fruit trees, I have been asked about crape myrtles so many times that I have decided to break my own rules, seems that writing about crape myrtles is a must. So let's begin by clearing the fog. Yes, you can cut back crape myrtles as deep as you like, I just don't think you'd be happy with the results. Every tree has it's own DNA and personality, and it's important we recognize it. Pruning crape myrtles - When? First, there's no reason to touch it before late winter, just before new leaves begin to grow on the naked stems. Second, when pruning crape myrtles, if you get the timing right you can increase its bloom. Blossoms grow on new stems, and if you prune after the new ones start to grow you may lose bloom. Also, the biggest advantage of pruning in late winter is the fact that the tree is totally naked, which means you can see clearly what needs to be pruned. Where to begin - Height first. I decided to reduce the current height and cut it back to the level I prune to every two years (that's right, I prune my tree every two seasons). In the image below I have marked the height (see the orange line), as well as the places where I just cut (the orange arrows point to my new cuts). Why reduce the height in the first place? good question! 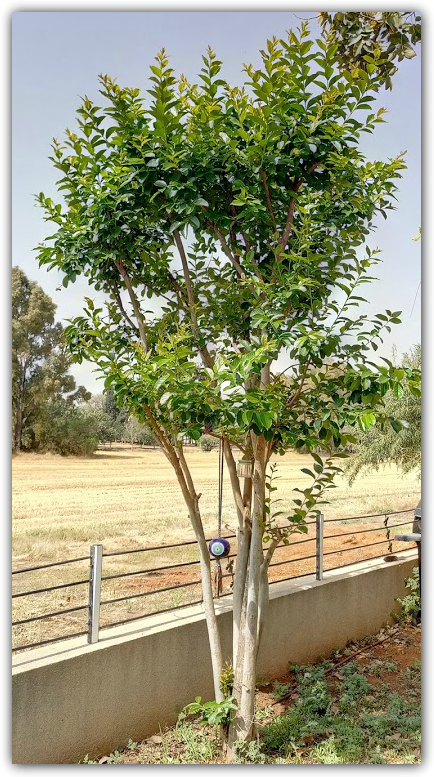 If I leave my crape myrtles as is, without reducing the height, it will reduce the amount of bloom as well as new growth in general and when it's too high the canopy can start to fall to the sides from the extra weight - all of which I would like to avoid. Above all, it won't serve our main goals (remember? ), which were extra bloom and the tree's health. Now, scroll down to see the results, I promise you'll like them. Perfect timing! Pruning crape myrtles at the right time produces stunning results, and I'm sure you now understand why I chose to reduce its height. I mean, only 4 weeks after pruning and look at those amazing new leaf clusters growing fast and straight up.